What is it? The New River Walk, Islington - a man made park along a stretch of the New River which was originally created as an aqueduct to bring water from the River Lea in Hertfordshire to Amwell Spring by Sadlers Wells. Where is it? 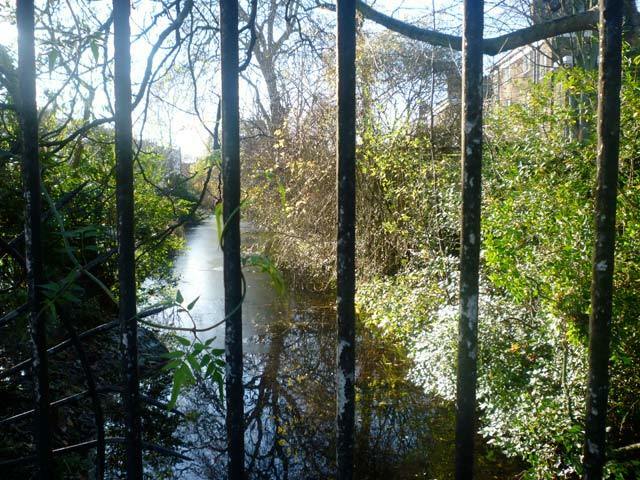 The park follows the New River as it runs above ground between St Pauls Road and Canonbury Road in Islington. It's open from 8am till dusk. Why has it tickled our fancy? Easily missed, as it winds between residential areas, this is the scenic route from Newington Green to Essex Road and Upper Street. In summer it's bucolic. 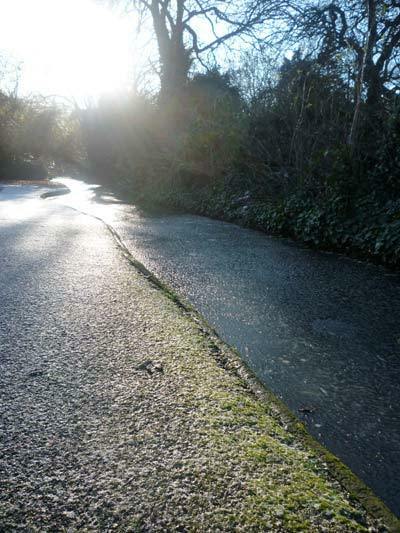 Today it's an icy winter wonderland walk dappled with snow, frost and sun. For pub fans it's an ideal walk. Coming from St Paul's Road you reach the smart Marquess pub halfway along and end up at the Myddleton Arms on Canonbury Road. 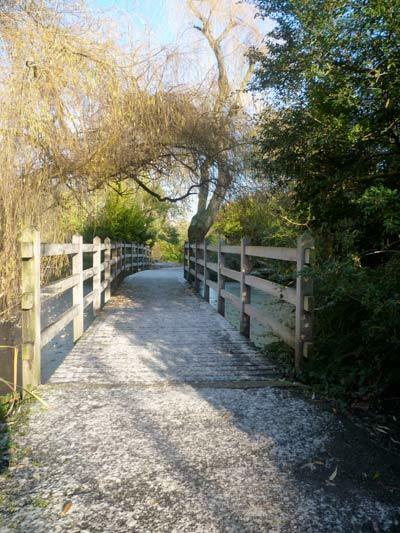 Nature notes: This charming linear park is landscaped along the river. 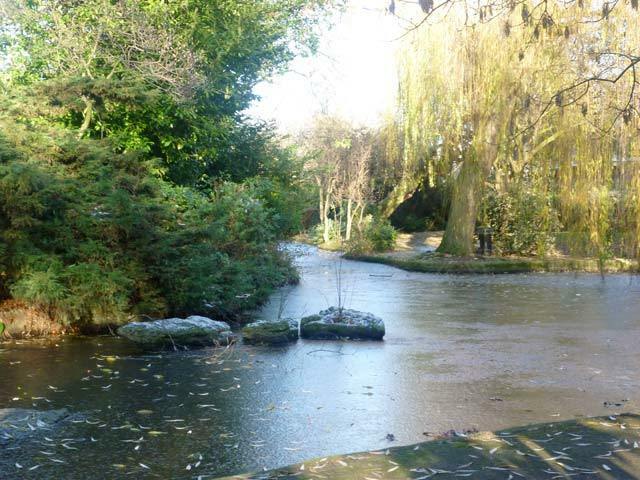 There are several graceful weeping willows dipping into the water and many other trees, both junior and mature. 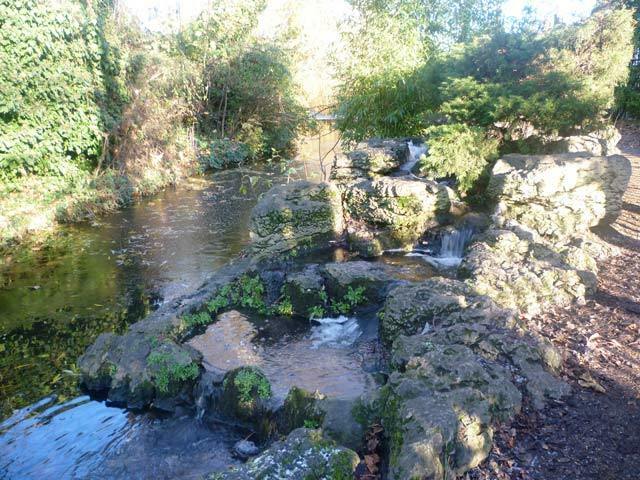 The narrow path winds intriguingly enabling the pretence you're in the actual countryside and its a delight to linger in the basin area and by the bubbling waterfall. 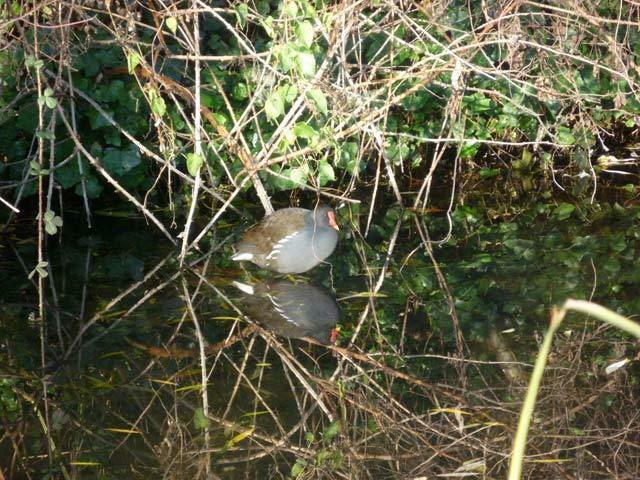 There are ducks, coots and moorhens even in midwinter and birdsong rang out from the treetops. When not frozen over the river teems with life and there are many points where you can peer in and several pretty bridges. The walk is rarely busy although a favourite for locals in the know and there are strategic benches along the way for when it's warm enough to sit and doze.